Sea Breeze fishing charters was established in 1982. We are a family business. My Mom, Dad, Brother, Aunts, Cousins, & some of my best friends all depend on your Lake Erie charter business. We are dedicated to giving you the best Lake Erie fishing charter experience of your life. 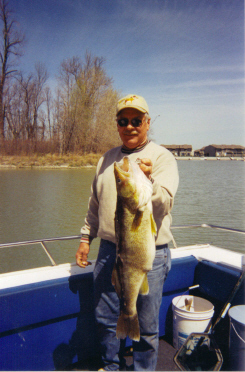 Many clients have been charter fishing Lake Erie with us for over 35 years. Yes, we have made a lot of friends, most of them go home and tell their friends, "you have to go walleye fishing with Sea Breeze charters on Lake Erie". 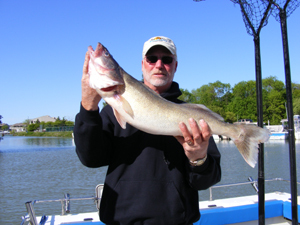 LARGEST CHARTER FISHING & LODGING SERVICE on LAKE ERIE. (From left to right; Barry, Dan and Bob - Capt. Big Mike, Ron, Eric, Chris not pictured). One, or often two, of these enthusiastic crew members will accompany you during your fishing trip. Your guide is a native of the area, has a United Stated Coast Guard License and is a Licensed Ohio Guide. 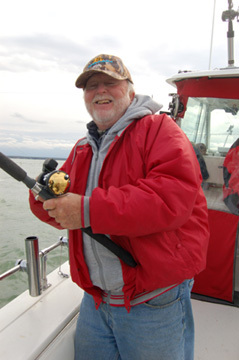 Our guides are full-time fisherman and have lifelong experience fishing the waters of Lake Erie. 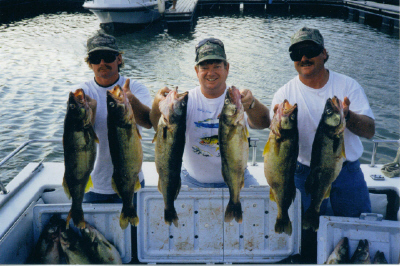 Our staff has over 500 years of combined fishing experience on Lake Erie.